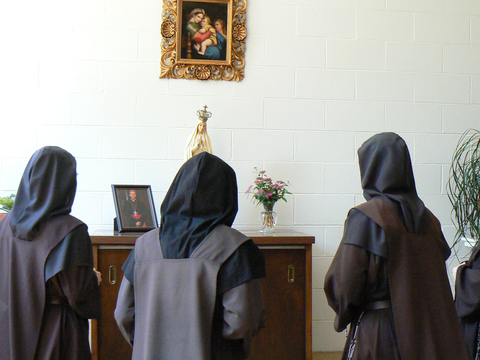 The veneration of Our Lady leaves its mark on every aspect of Carmelite life, since the very first hermits of our Order dedicated to her their little chapel on Mt. Carmel. 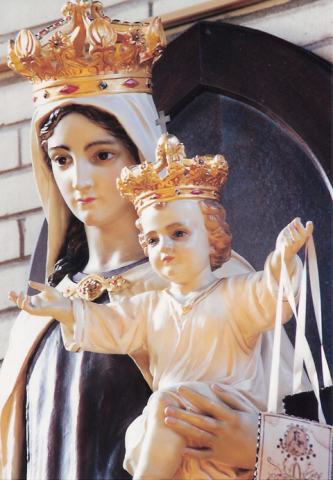 The Order of Carmel considers Our Lady as its Patroness and its Queen. It is “the Order of the Virgin, our houses belong to her.” They are the “dovecotes of the Virgin.” The motherly presence of Our Lady among us penetrates all of our Carmelite vocation. This Marian dependence is expressed in a general manner of living, more or less accented according to the graces given to each, as well as in various community and personal devotions. 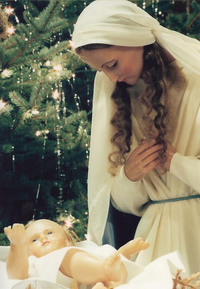 Mary is taken as a model of the contemplative life, especially in her hidden and meditative aspects, her faith, her charity and her loving participation in the mystery of Redemption. She is the perfect realization of our ideal. She illumines our steps and is the eminent example of our communal life in the Church. “Always moved by the Holy Spirit,” she is the sure way to arrive at mystical union and marks with a particular stamp our sisterly communion and our whole life. Like Our Blessed Lady in the Upper Room, who, by her prayerful presence, kept in her heart the origins of the Church, we want to carry in our loving hearts and in our praying hands the journey of the Church.